An ambitious and forward-thinking business director and manager who is resourceful and motivational. I attribute my successes to date to a strong leadership work ethic and a passion to deliver to the highest standard. Experienced Co-Founder with a background of working in the food & beverages industry. So you want to get in touch but you’re not sure who is the best person to talk to? 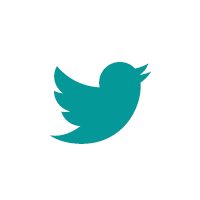 We’re always happy to say hello, just contact us here! Ever wondered where our passion came from? Green Sisters are passionate about food inclusion and manufacture vegan, authentic free from products in sweet and savoury flavours – offering choice, nutrition and peace of mind, deliciously ‘Free From Compromise’. In the earlier years our family discovered dietary limitations through personal experiences with Coeliac Disease, Diabetes, IBD and more. After 15 years never having eaten a samosa and watching whilst everyone tucked in, during social occasion, gatherings, celebrations and even corporate meetings Geeta resigned herself to need to make the difference. As sisters, we decided to take on the challenge of inventing the best possible flavour combinations and free-from products to suit most diets, so nobody across the globe was ever faced with missing out again. That continues to be a Green Sisters mission. Understanding limitations and barriers created by food, has guided our mission of passion and food inclusion. We are two little Indians who like flavour, quality and choice irrespective of any dietary considerations. Beginning and establishing Green Sisters has always been about food that can be enjoyed by almost everyone, which is our continued endeavour. We will do everything we can to try and bring back the experience of sharing food through our products. With a core range, which is free from 14 allergens regulated from the food standards agency and vegan, we are confident that we are making a start, but as we learn about new diets, we realise that we have a long road ahead of us. So whether you are vegan, following a low fodmap diet or vegan, we can help you to still be spoilt for choice, when choosing foods for you. Visit our products page where you will be able to use our easy allergen checker to exclude foods you can’t eat, making it simpler to find the ones that you can! Enjoy!!! ‘It had been over 15 years since I had eaten a samosa and I’m from an Indian family! Often I was surrounded by tasty authentic food everywhere, that I just could not eat due to allergies. Even when travelling, or in corporate scenarios. These authentic delicacies are everywhere, and well loved. Feedback from our customers have revealed I’m not alone! Until now the Samosa was just inaccessible… Now we have launched a healthy baked samosa alternative in various innovative flavours, which may be enjoyed by the majority. Promoting food inclusion’- Geeta Salhan, Co-founder. 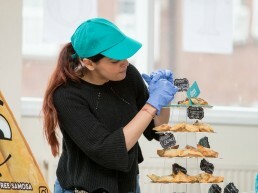 Sisters Reena & Geeta made it our business to innovate a core range of Vegan, Gluten-free, Free-From 14 allergen samosas, wraps, bhajis and more. Combining delicious flavours with nutrition, exceptional choice to consumers, whereby individuals don’t miss out. Whether it be convenience or flavour in mind, you can be confident that this range delivers in the Food-To-Go, retail and leisure sectors. We take a responsible approach to producing foods that people love, so the experience can be guilt-free and pleasurable. Quality and trust are at the forefront with products in the range accredited with Gold Free-From awards in categories of Foods Designed for Children (judged by Children in 2018) and Foods Designed for Food Service (late 2017) and recently accredited by charity Sugar-wise. Since the quality/ flavour bar is high, whether avoiding allergens or not, you’ll simply enjoy Green Sisters product ranges either way. Samosas that are baked and not fried often surprise the consumer, as they are not oily, low calorie and high in protein, yet boast traditional authentic flavours with a ‘Free-From’ twist. So… if you’re looking to stock the next range of quirky, innovative and flavoursome foods without compromising health or flavour, please do be in touch. 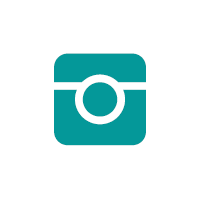 We know our customers want to find you. If you prefer a face to face, we’re more than happy to oblige. We are only open to appointments so please contact us beforehand. 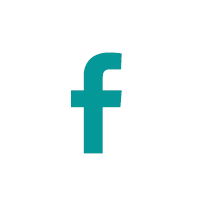 We would love to hear from you and welcome your thoughts, comments and understand what you may like to see more or less of. The sisters are so lovely and you can put an order in direct on their website and it arrives frozen ready for frying or baking. Dreams really do come true! 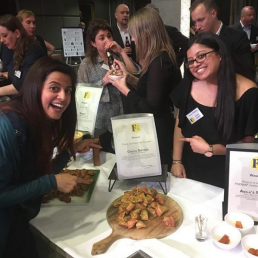 MASSIVE shoutout (and endless thanks) to the gorgeous Geeta and Reena for being awesome women and creating such DELICIOUS samosas! These sisters are blazing a trail for allergen adventurers like myself, in order that we may enjoy life, and life in all its delicious, gastronomical fullness. Tonight I had my low FODMAP samosa and I paired it with curried cod cooked in Sainsbury's low FODMAP korma powder, a healthy little veggie curry mix of spice packed chopped toms, spinach, green beans & peppers! Absolutely delish! So good! Definitely worth a try! Your samosas and pakoras were just as delicious as when I first tried them, residents, families and staff were all commenting on how nice they were, they were very impressed that they were not like the greasy ones that are often served at celebrations. 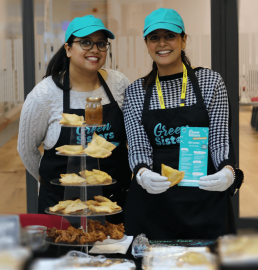 The Green Sisters aka Reena and Geeta, catered for a flagship event for Aston University in October 2018 attended by a mix of students together with business and community representatives from across Birmingham. The pair are extremely easy to work with, communication is clear and effective and the organisation seemless. However the most important thing is that the range of samosas, pakoras and chutneys were all out of this world. There wasn’t a crumb left! I would definitely recommend the Green Sisters to anyone looking for alternative, allergen free, tasty catering for an event.